Starting to sound like a seperatist . . .
"Halo, its divine wind will rush through the stars, propelling all who are worth along the path, to salvation." So, when the Forerunners activated the rings, were they just propelled to another area of space effectively starving the Flood by moving away without ships big enough to hold more than on person (Forerunner?). So if the Covenant activated the rings would they be propelled "along the path to salvation" and meet the Forerunners? This would certainly explain the lack of bodies (other than the Covenant) on Halo, even if their bodies decayed or buried they would still be there. Maybe the Forerunners acctully desined the rings to wipe all sentient life from the galaxy but they messed up and they were flung to another galaxy. I say we cut our losses now and join their hokey old religion. We're all gonna turn into woollen puppets. Picture this: This "Ark" is not a space ship. It is not safehold. It is a computer. Similar to the teleportation grid on Halo, a matrix of processing nodes scattered across the surface of Earth. This computer, this superprocessor would work much like Deep Thought (The Hitchikers Guide to the Galaxy). It would work over millions of years to analyze the Flood and (hopefully) find a way to destroy them. Meanwhile, the Forerunner put themselves in some kind of stasis, to be awakened by... What? Humanity, perhaps? Their horribly misguided children? No, I think that that was the purpose of The Covenant. To oversee this Ark. And perhaps, perhaps that is the reason why they hate us. Perhaps Humanity is not the child of the Forerunner, but of the Flood. That may explain some of the swarm-like quality of the Humans. That is why we infest the Earth. We know that if it fullfills its purpose, we will be destroyed. Well, there's a particularly morbid thought to ponder. Humanity is Flood-spawn. Looking around the HSP crew, that theory actually makes a kinda sense. And because it wouldn't truly be an HSP update without some Cortana hating I suggest this thread posted by UrsusArctos. Marathon connections and everything. Be impressed. He may be a smug little so-and-so, but how much does 343 Guilty Spark actually know? In response to the thread, regarding "The importance of organic reclaimers" there was some speculation put forward by Slith; "the fact that 343 Guilty Spark takes the index away from John 117 on Halo Alpha (04) citing the reason 'You are susceptible to infection. ', clearly demonstrates that a Forerunner construct is a safer carrier." While I agree he is a safer carrier, I don't believe that 343 GS is completely immune, to everything. For example in "The Maw", when intercepting Cortana he says "Ridiculous! That you would imbue a warship's AI with such a wealth of knowledge! Weren't you worried it might be captured? Or destroyed?" Interesting use of words don't you think, especially "captured"? After all, it's likely to be "captured" by the enemy, and the only enemy 343 GS has, as far as we know, is the Flood, so therefore we can logically assume that giving A.I's lots of information is not something the Forerunner's do. It has also been speculated here that 343 Guilty Spark was absorbing Forerunner data, and this would back up that line of thinking. It's no wonder that 343 Guilty Spark can't get access to the core, the Forerunner don't want the Flood to get the information if he is "captured". Surely this raises the question "How much does 343 Guilty Spark, monitors, or "oracles", as the Covenant call them, actually know? Truth says "For ages we searched for one who might unlock the secrets of the ring - an Oracle". This suggests that the meeting with 343 Guilty Spark is the first meeting with any oracle. Even though the Covenant "plied the Oracle with our questions", all they manage to get out of him is: using the index will fire the Halo's. If that's all the information that they have, along with programmes to fix certain parts of Halo, and not of the Forerunner themselves, then no wonder "there are none so worthless as these Oracles", they hardly know anything, due to them only being given abilities to "monitor" Halo. So to conclude, you could argue that monitors can be infected by Flood, or the information monitors hold can be absorbed, but with so little information, does it really matter? Also, if capturing monitors doesnힿ?t give the enemy what they want, for instance Gravemind still had questions even though he had captured 2401 Penitent Tangent; "my mind is not at rest, for questions linger on", itힿ?s no wonder he went after Cortana to get more info, the question is did she process all the information she obtained from Halo, or did Dr Halsey, (during First Strike) stop her processing that information in time? Grab yourself a nice warm cup of coffee (well, hot; not one you just found sitting on the window sill) and sink into a comfy chair. This update's a little long. In hisco scopea's post on the HSP, it is speculated that those that built the facilities on Reach are not the same as those that built Halo. Regardless of that being true or not, it appears that the same conclusions were reached in the context of a catastrophic Flood outbreak. Now from the books and game we know that the Flood can infect organic life AND steal the memories from those infected. We also know that the Flood can infiltrate electronic/computer systems. Given it might be the knowledge stolen from the infected hosts that gives the Flood the ability to infiltrate the computer systems, there is still evidence of further "adaptive" abilities of the Flood such as the Keye's Blob and Gravemind to interface with electronics/computer systems. Now Halo has some safeguards against the Flood taking over purely on their ability to interface with electronics. Protocols did not allow constructs to be in the core and important tasks such as the re-unification of the Index with the Core are reserved for only the Reclaimer(s), who happen to seem to only be humans. Humans, of course are organic, making them subject to Flood infection. So what is to keep an infected human from being a Reclaimer? Well conversely, what good would a security system be if all you needed was "body parts" to get by it? To keep the Flood from gaining control, I believe the creators of Halo and the creators of the facilities on Reach came to the same conclusions. First, limit the access of computers/constructs/AI's. And second, encode the security protocols to something that cannot be used if altered by the Flood. The first limit is demonstrated by the role of constructs on Halo, and in the facilities on Reach there were no holographic projectors or access points for constructs. Imagine the fear the creators must have had to cause them to cast away their own technology and live on dirt floors (underground on Reach) knowing the Flood was out there and that their own constructs could be used against them. 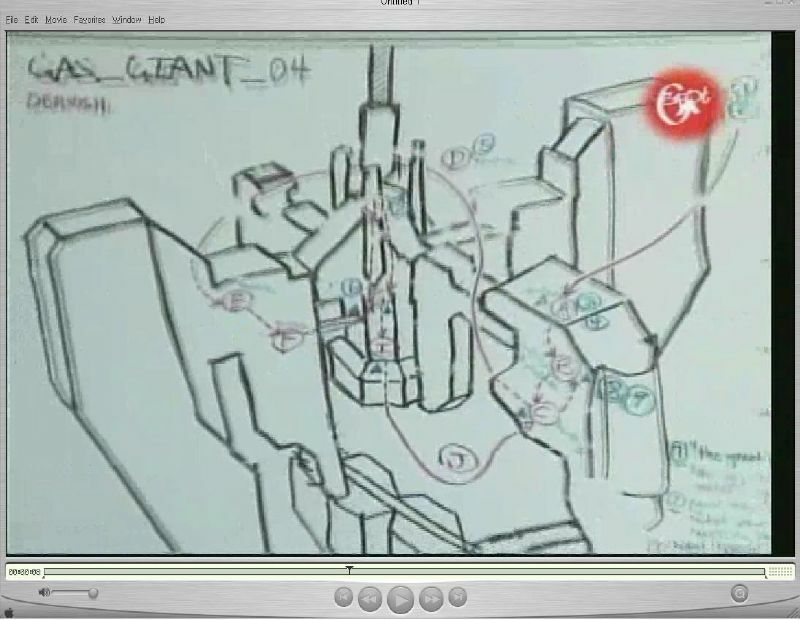 The second limit is evidenced in the controls of Halo, how the Reclaimer could just intuitively use the controls and how a Reclaimer must unify the Index with the Core (other organic creatures tried but it did not work for them). Also the mechanisms for opening the secured doors in the Reach facilities had something to do with blood which seems to tie into a genetic encoded system as the key. Any presence of Flood alteration would likely set off alerts and keep the doors locked down. Sound off in the forum post here. "Do not forget the legacy of the good Dr. Heisenberg." The last question that you asked Joe, he answered with something about Dr. Heisenberg. You may already know this, but Heisenberg came up with the Uncertainty principle [among other things] which states, "You cannot know both the velocity and location of an electron. It is possible to know the velocity and not the location, or to know the location and not the velocity". And the ancient oak is IAC/High charity. High charity is shaped like an oak tree, and oaks are clad in 'amber' leaves during autumn (see the connection here?). When I bought Halo 2, I decided to turn on the subtitles, because I hated having to focus to listen every time something unintelligible was said by a character. "Grind them into dust, scrape them as excrement from our boots!" Small and not so important, but cool. Definitely neat. Also, at the beginning of "Whisper in the Storm" the exchange between the two Heretic Elites, if you stay cloaked and out of sight, is rather interesting ("Any word on our missing brothers? ", etc. ; perhaps the Heretics who accidentally released the Flood?). I wonder if there are any other such insightful treasures. I've been reading Arthur C. Clarke's Space Odyssey series, and quite a few things reminded me of Halo and Marathon. The most interesting in my opinion was "The First Born." This race reminded me of the Jjaro or Forerunner. The First Born were an extremely advanced race, and valued the Mind above anything else in the universe. They loved it so much, that they went from galaxy to galaxy encouraging its growth in potential intellegent species. They did this with humans, and possibly many other species. Could the humans and Covenant have been projects of the Forerunner? More evidence in the Odyssey series could point to yes. In 3001: The Final Odyssey, some backstory in the novel revels that an ancient monolith was found in Africa in 2513, around 500 years after the events of 2001. This timeline is eerily close to Halo's, and with the only two publicly demoed levels taking place in Africa, it makes one wonder if there are Forerunner artifacts somewhere in Africa [ie. 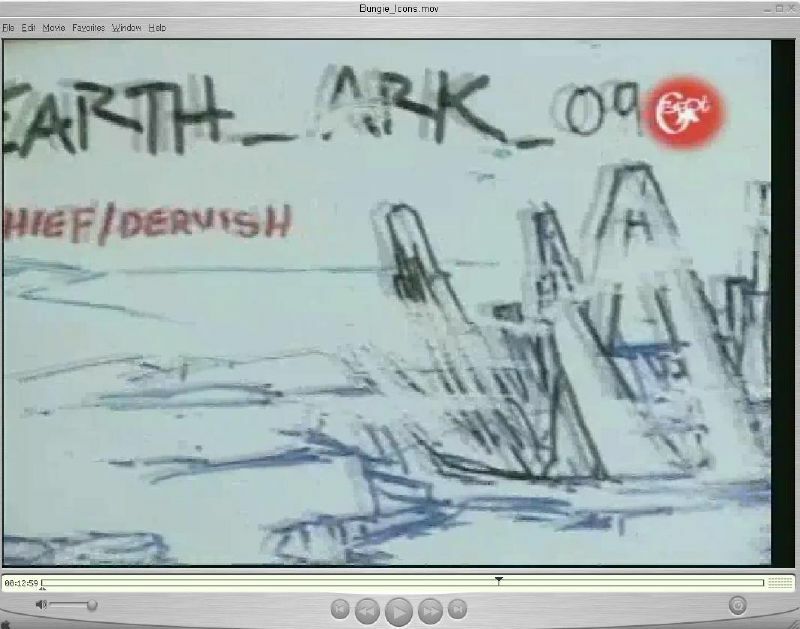 The Ark]. What about the Forerunner themselves? If they're not human, what are they? The First Born from the Odyssey series started out as organic beings, but as their machines grew better than their bodies, they gradually moved their brains into machines, and eventually became pure energy. If the Forerunner left their bodies behind, they probably wouldn't have much trouble reversing the effect, would they? This may be a possible reason to keep such a terrible thing as the Flood around. Maybe the Flood were a resource to the Forerunner. The Flood's genetic adaptability might make them act as a kind of "mold" for organic vessels for the Forerunner to run around in. If this is true, then it could explain 343 GS's apparent confusion with the humans as Forerunner. To 343 GS, there is no other species in existence as smart as the Forerunner, so when 343 sees how brilliant Humans are, he automatically assumes that they are Forerunner, albeit in a weaker "skin." There is actually evidence of this in-game. 343 GS says this: Your environment suit should serve you well when the Flood begins to alter the atmosphere. You are a good planner. But he said this earlier: These Sentinels will supplement your combat system. But, I suggest you upgrade to at least a Class Twelve combat skin. Your current model only scans as a Class Two, which is ill suited for this kind of work. Why the difference between Environment suit, and Combat skin? Master Chief has his armor, and his body. The only other thing I can see the "Combat Skin" as is 117's body, which would make sense if the Forerunner used biological "machines" to do their dirty work. Speaking of Arthur C. Clarke... Are there Forerunner Installations on Jupiter? In the opening scenes of Cairo Station, Cortana is conversing with Lord Hood and mentions unidentified signals near Io that need to be probed further, and this occurs immediately before the Covenant fleet arrives in system. Later, at the the end of Outskirts in the tunnel, Cortana reveals that the Covenant are surprised humanity is on Earth, which explains the small size of their fleet. My first speculative leap is that the strange signals near Io, Jupiter's moon, were a smaller advance group of Covenant forces. It is my understanding of the Prophets in general, and Regret by relation, that they use Forerunner artifacts with spatial coordinates to find other Forerunner artifacts and facilities. If they sent a small, explatory fleet to our home star system with such an obvious interest in Jupiter, it stands to reason that there is some sort of Forerunner facility or artifact on Jupiter or one of its moons. Jupiter is a gas giant. We have encountered, through the eyes of the Arbiter, an ancient Forerunner facility in the atmosphere of another gas giant (Threshold). It stands to reason that if the Forerunner had established a facility anywhere near Jupiter, it is probably very similar to the one the Arbiter travels to. In the fight against the Heretic Leader in the hanger on the aforementioned Forerunner facility, 343 Guilty Spark is floating about. Hiding for a moment to avoid certain death, I noticed that 343 actually says things in this part of the game and I recall him saying something along the lines of, "This facility was built to study the military capabilities necessary to eliminate the Flood." Since it's already been posited that the Jupiter facility is similar to the Heretic controlled facility, it follows that the Jupiter facility also contains Flood and Forerunner military technology. Thanks again for the story page and have a great day. It's official! 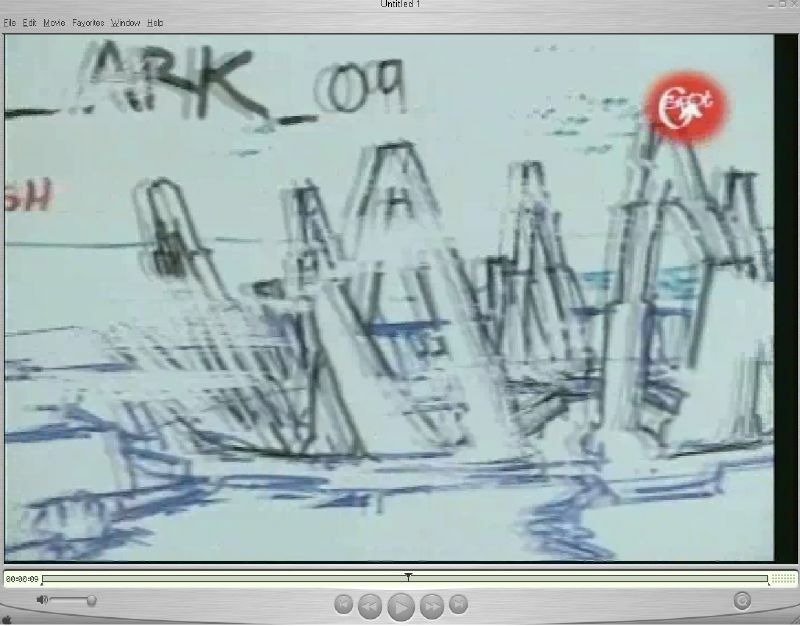 The/a Ark is/was on Earth! Images of the Ark on Earth (and "Dervish" references) from G4's Bungie Icons show. Some discussion and link-age on the Arbiter's working title (Dervish).